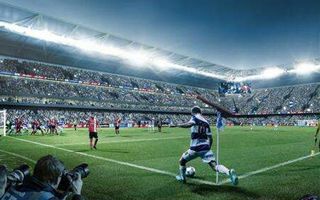 In December 2013 Queens Park Rangers unveiled their plans for a new 40,000 stadium, its location was set at Old Oak Common, a derelict land just over a mile north from Loftus Road, currently pending regeneration plans. The club hopes to get involved in the regeneration by helping to create a commercial/entertainment hub with its own ground. However, vast part of the land belongs to Car Giant Ltd., a car reselling business. The company recently expressed how far the QPR scheme is from actual construction on the 45 acres of land. Before any negotiations can be finalized, the company needs a relocation site, but one is yet to be found despite cooperation between Car Giant and London authorities, both local and metropolitan. Car Giant managing director Tony Mendes believes any development will take much longer than the London club anticipate. He said: “The regeneration of Old Oak Common and in particular the land owned by Car Giant Ltd is a complex issue and may take significantly longer to finalise than some parties are anticipating. “Schemes that have been announced for this part of Old Oak Common, including a new stadium for QPR, are speculative and presumptuous.